The Hotel Quinta da Marinha Resort is located on a dramatic section of rugged land between Cascais, Sintra and the Estoril Coast. 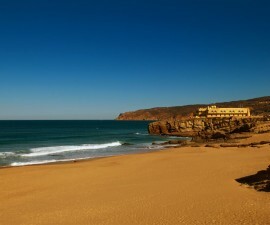 This is one of Portugal’s most sought-after locations and makes a pleasant alternative to the popular Algarve region in the south. 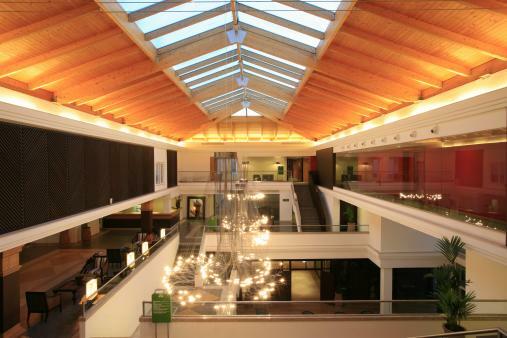 The area is reached easily from Lisbon’s International Airport some 25km away, providing superb access to all that Portugal’s capital city has to offer while ensuring guests have a feeling of being completely away from it all, with all the amenities they could wish for on their doorstep and luxurious surroundings in which to while away their days and evenings. 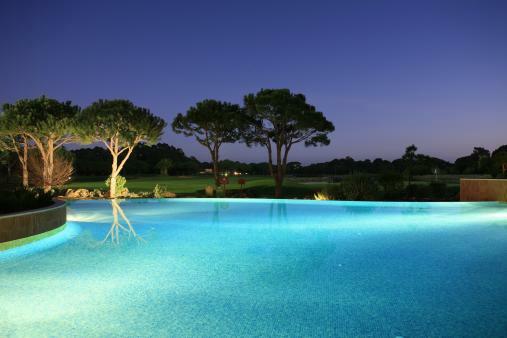 The Hotel Quinta da Marinha is a five-star luxury hotel situated right in the heart of the Quinta da Marinha resort. 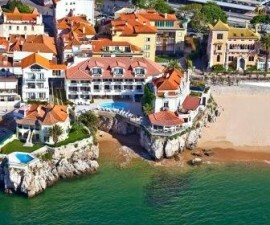 This is one of the most sought-after destinations in the Cascais region, popular for its on-site golf course and state-of-the-art amenities. All rooms and suites come complete with a balcony or terrace, overlooking the golf course or the nearby Sintra mountain range. 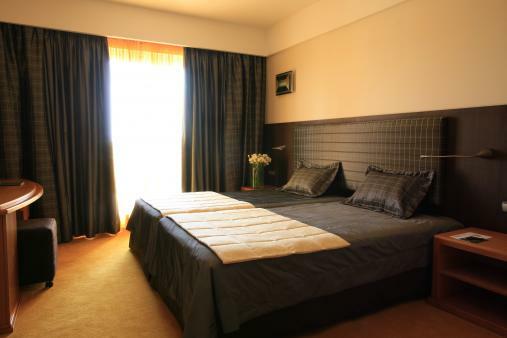 Each comes equipped with Satellite TV, well-stocked minibar, Internet connection, radio, hot and cold air conditioning, in-room safety deposit box and telephones. There are a number of rooms adapted for disabled use. Guests in search of a special luxury experience can choose from one of 44 villas located in and around the grounds of the golf course. Villas come fully equipped with a kitchenette, fire place and large terrace and feature either one or two separate bedrooms. All villas benefit from a daily cleaning service, ensuring that guests can enjoy peace and independence in their own dedicated space without compromising on the luxurious aspects that come with staying in a five-star resort hotel. 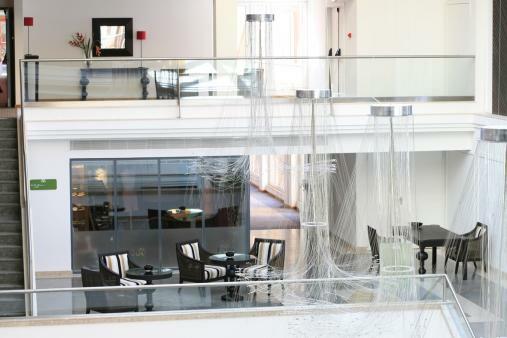 The hotel features indoor and outdoor pools, a spa, gymnasium and recreation areas as well as a range of formal and informal dining facilities to keep its diverse range of business and leisure visitors satisfied no matter what their tastes. 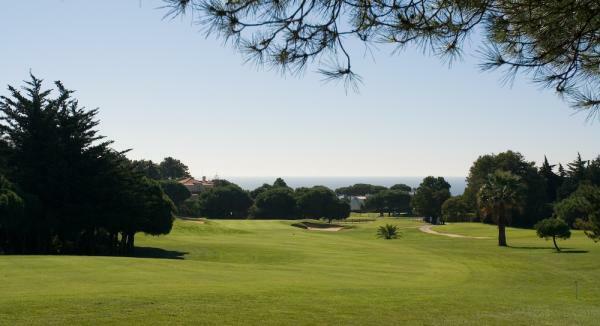 One of the main draws for guests staying at the Quinta da Marinha Hotel is its location right on the golf course. 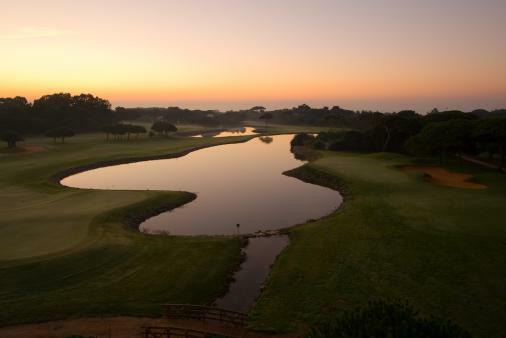 Designed by Robert Trent Jones this 18-hole course is a par 71 covering 5,870m and comes complete with pitching area, driving range and putting green. Equipment hire and buggies are available on site and there are several in-house pro teachers available to provide lessons and clinics. 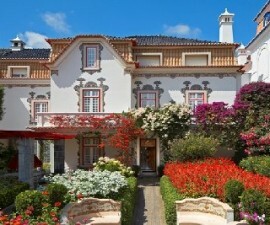 The Estoril coastline is home to a whole host of treasures just waiting to be discovered and with Cascais and Sintra close by and Lisbon within easy reach, there is plenty to occupy guests at the Quinta da Marinha Hotel no matter how long their stay.